Composer Judith Ring's first body of work featuring her own singing is both gentle and complex writes Shannon McNamee in her second Journal of Music/Galway City Council Music Writer Mentoring Scheme review. Irish composer and cellist Judith Ring is best known for blending classical instrumentation with sampled electronic sounds and looping effects. More recently, she has been playing cello with experimental folk ensemble Clang Sayne. Her latest EP, The Ring Lieder, however, is a clear departure from her previous work as it features her as composer, cellist and vocalist too. The four-song collection is based on poems by Irish poet Roderick Ford and it carefully captures, through word and sound, the meaning and imagery in the poetry. This might be expected from a composer, but what is more interesting is the fact that Ring herself is the vocalist throughout. Her singing is gentle, fragile, sometimes almost whispering the words. We hear this in ‘The Old Train’, the recording’s opening track. It begins with soft and repetitive piano; interludes of busier instrumentation take over and motifs on violin weave through until the uptempo finish. The poem tells the story of an old rattling train, transporting its occupants along sun-drenched tracks to an otherworldly destination. Ring sings, ‘a chain of days puffs from the old smoke stack, of a train that barely makes it up the hill’, her soft voice transmitting the dream-like ambience created by the lyrics. ‘Amber’ begins with a quiet, abstract sound of metal rattling against metal. Vocals enter, and, with an intermittent piano accompaniment of gentle chords and single notes, the piece gradually reaches a high-pitched climax with ‘the dream is inside’ and variations on this phrase. This segment allows Ring the opportunity to demonstrate her vocal range with an ornamented melody, trailing off into a whisper. What becomes evident as the EP progresses is the interesting juxtaposition of Ring’s precise compositions and her natural, free vocals, which seem, to the ear, untrained. Where her curation of sound is skillful, her voice is soft and seemingly stretched by the higher notes, showcasing their vulnerability. ‘A Plate of Holes’ concludes the EP. In the syncopated piano accompanied by subtle strings its opening is reminiscent of ‘The weathered stone’ by Benedict Schlepper-Connolly, but the focus throughout is still Ring’s ethereal singing. The most direct composition on The Ring Lieder,‘The Sylph’, is a personal favourite. While the other tracks are polyphonic and heavily layered, here the focus is given entirely to the melody and words and the only sounds to be heard are Ring’s voice and a non-interfering accompaniment on piano. Of the four songs, ‘The Sylph’ is unique, due to its sheer simplicity, and showcases Ring’s new venture in its purest form. Contemporary and experimental, laden with electronic sounds, samples and busy instrumentation, The Ring Lieder marks Ring’s two decades of composing while exploring new ideas too. The interplay between the complex arrangements and the sweet, stripped-back singing is at the heart of this record, performed in a concise and considered way. Having found it challenging initially, I appreciate The Ring Lieder in a different way after every listen. The songs unfold bit by bit, revealing more sounds and qualities each time. This review is published as part of a new scheme for music writers in Galway City. 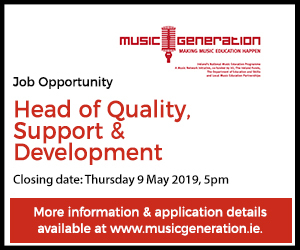 The Journal of Music/Galway City Council Music Writer Mentoring Scheme is supported by Galway City Council Arts Service and was launched in 2017. 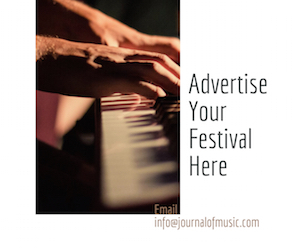 Over 12 months, the editorial team of The Journal of Music will work with five new writers – Vincent Hughes, Shannon McNamee, Jake Morgan, Dylan Murphy and Julie Seagrave . The reviews from the Galway scheme include Vincent Hughes on Overhead, the Albatross and Talos, Jake Morgan on the RTÉ Concert Orchestra, Dylan Murphy on Brian Wilson, Shannon McNamee on Lankum and Julie Seagrave on Loah. This is one of three schemes currently underway. A second – supported by Clare County Council – supports four new writers to cover musical life in County Clare. 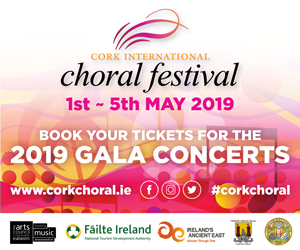 The eight reviews focussed on the Riches of Clare concert series and Floriane Blancke (Ian Bascombe), Paul Brady at Glór and the Martin Hayes Quartet (Deirdre Clare), Lisa Hannigan and An Tara (Ruth Smith), and The Boruma Trio and Florence Fahy (Alan Reid).